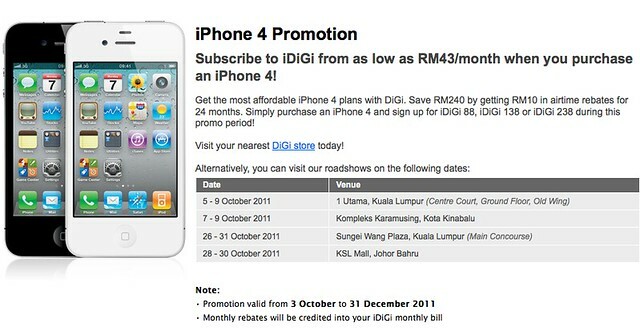 DiGi iPhone 4 Promotion At RM43/month – DiGi slashes price for their monthly iPhone 4 plans again which makes it the lowest at only RM43/month. They have reduced the monthly subscription by RM10/month at all packages. With the latest promotion, you can an extra RM240 worth of savings. The promotion is valid from 3 October to 31 December 2011. 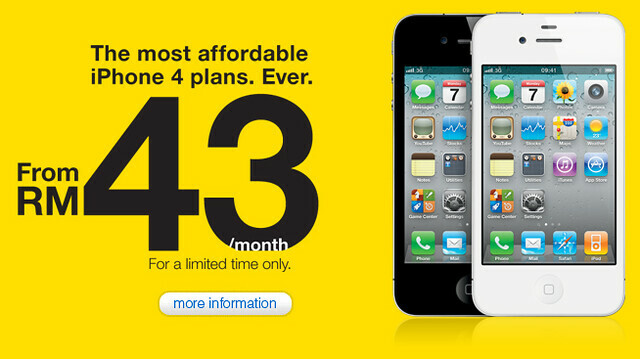 However, iPhone 5 or the iPhone 4S is about to announced on tomorrow. Could it be a clearance to welcome the new iPhone? Will know soon. Really excited for the Apple event tomorrow. Are you?